Sabeena Gadihoke, close friend and biographer, remembers her 14-year journey with Mrs Vyarawalla. Homai Vyarawalla turned 98 on December 9, 2011. For the first time in 14 years, I had taken the liberty to visit her without giving her prior notice. I wanted to give her a surprise on her birthday. I texted her as soon as I landed the previous night and promptly got a reply: “Just got your message. Most welcome. See you tomorrow. Love.” Two years ago, Homai had considered the possibility of learning email but decided that texting on the phone was a better option. It was a struggle as her fingers often missed the tiny buttons on her phone but she was determined. Soon she was texting people with occasional ‘misfires'. A friend was once puzzled to receive a cryptic message stating: “Please send pedas!” The message was for someone else. When Homai Vyarawalla was given a pen, the same fingers magically transformed into those of a calligraphist. Her handwriting till the end was beautiful and our correspondence through letters stand testimony to her disappointment with mine. In 1997, she wrote: “The postman must be able to read the address without stress — he has many letters to deliver. Do try and make his work easier.” In 2005, she asked for 6 fine point ball pen refills — “I am always in trouble here as the stock they sell is unpredictable and my handwriting looks shabby.” In 2006, she actually returned a letter saying she couldn't understand what I had written! By now I began sending her typewritten letters but I preserved each one of her letters beautifully written on recycled paper, sent in re-used envelopes. While much will hopefully be written in the coming years about Vyarawalla's professional contribution as a pioneering professional — she was India's first woman press photographer who captured the first three decades of a nation in transition — what stays with me are memories of an elderly Homai Vyarawalla who I met when she was 87. Her memory was razor sharp even though it needed a little jogging to set her recounting stories and anecdotes that spanned almost a century of Indian history. She was an untrained but skilled archivist. She meticulously preserved her beautiful monochrome prints and negatives in boxes and hand-made negative jackets stored in Tupperware cases. For years, she struggled to protect them from the humid climate of Vadodara and was palpably relieved when they were finally handed over to the Alkazi Foundation in Delhi on permanent loan. Nothing that came Homai's way was discarded easily. Everything was put to good use. Her simple and sparse home had pieces of driftwood that looked like sculpture. Her walking stick, polished with age, was carved out of a piece of wood while her nameplate was made from broken glass bangles. Many who knew her intimately wanted to photocopy her hand-written book of recipes and medical home remedies. She could also cut her own hair and tailor her own clothes. She once sawed an oversized baking tray, repaired my slippers and fixed the plumbing in her water tank. All this and more when she was well into her nineties! She often said she was like Robinson Crusoe. Her island was her home in Vadodara where she lived independently till the end with her plants and a few personal photographs. Time spent with Homai in Vadodara had a different quality. We always talked about photography but as the years went by and we became closer, our conversations about the grand events of history melted into smaller more intimate discussions about the everyday. Belonging as she did to a middle class Parsi family, Homai had to struggle for most of her life. She always said that had she not become a photographer, she would have joined any other profession that was available to her. Not working was never an option for her. Her father, an actor in a travelling Urdu-Parsi Theatre troupe had to borrow money to return to India when his company declared bankruptcy in Rangoon. He died soon after and Homai's mother augmented the family income by weaving the parsi kusti (sacred thread). Homai was the only girl in her class in the Gujarati school where she studied. Thereafter, she received a diploma at St Xavier's College. She studied further at the JJ School of Arts in Bombay where she was introduced to many of the subjects of her early photographs, including the beautiful Rehana Mogul. Homai learnt photography from her boyfriend Maneckshaw who she later married. The two would walk the streets of Bombay in the 1930s and early 40s taking photographs. In 1942, they moved to Delhi and as employees of the British Information Services were plunged into the thick of nationalist politics. Homai photographed official histories as they unfolded but she also captured images of leisure as elite Indians and expatriates met at social functions at the gymkhana club in Delhi. She photographed marriage ceremonies, school functions, fancy dress parties and more. Homai was an adventurous woman. Stranded in Sikkim, she hitched a ride back on an army truck after taking images of a young Dalai Lama crossing the border in 1959. Once she came tumbling down while trying to shoot Mohammad Ali Jinnah, bringing to a halt the proceedings of his last press conference the day before he left for Pakistan in 1947. Homai's fall brought a smile on Jinnah's face. She had also photographed the meeting of the Congress Working Committee that ratified the decision to Partition the country. Acharya Kripalani, who was chairing the meeting, was not happy to have photographers around so Homai had to keep ducking behind the benches. Her desire to discover new frontiers made her travel to the U.S. and the U.K. at the age of 95 in 2008. When she saw the statue of Gandhi at Tavistock Park, her only comment was that he was not wearing spectacles! As the evening ended, I realised to my shock and disappointment that I had accidentally erased the interview. I tried returning to the subject but that moment had passed. By now the sun had set and Homai looked tired. I returned home depressed that I had lost that interview till a friend suggested that perhaps certain moments are not meant to be recorded but treasured in our memories. As a friend bids farewell to you for now Mrs. Vyarawalla, I wish you a happy birthday once again. I have been privileged to have known you and I hope that wherever you are, you have found peace and that quiet place to sit in the sun. [Sabeena Gadihoke is Associate Professor at the AJK Mass Communication Research Centre, Jamia Millia Islamia and author of India in Focus: Camera Chronicles of Homai Vyarawalla, Mapin/Parzor, 2006]. 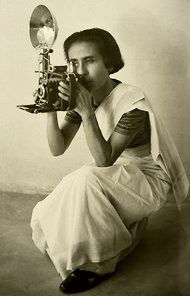 "Homai Vyarawalla, Pioneering Indian Photojournalist, Dies at 98"
Homai Vyarawalla, a photojournalist celebrated in India for chronicling the country’s march toward independence and capturing enduring images of world figures like Mohandas K. Gandhi, Ho Chi Minh and American presidents of the mid-20th century, died on Jan. 15 in Vadodara, in west India. She was 98. Hospital officials said she had been under their care for respiratory ailments when she died after falling from her bed and fracturing a thigh bone. 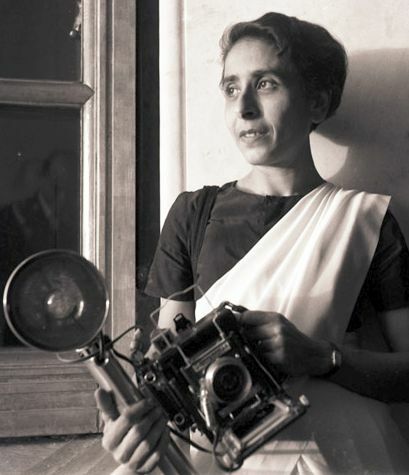 Ms. Vyarawalla was hailed as the first Indian woman to work as a photojournalist and remembered as a familiar sight on the streets of New Delhi, the capital, riding a bicycle to assignments, her sari flapping behind her, her bulging equipment bags slung across her shoulders. To many Indians she was known as Dalda 13, a coinage derived from her license plate number, DLD-13. In the 1950s, Ms. Vyarawalla photographed Zhou Enlai, China’s first prime minister under Mao Zedong, as well as the North Vietnamese leader Ho Chi Minh and the Dalai Lama, just after he had escaped from Tibet. She recorded state visits by Queen Elizabeth II, Presidents Franklin D. Roosevelt, Dwight D. Eisenhower and John F. Kennedy and the first ladies Eleanor Roosevelt, Mamie Eisenhower and Jacqueline Kennedy, often capturing them in lighter moments. But it was her triumphant images of the country’s independence movement — of the departing Lord Mountbatten, the last British viceroy, for example — that resonated most with Indians. “Her images of Jawaharlal Nehru addressing a jubilant crowd in Delhi, and of the body of Mohandas K. Gandhi being prepared for cremation, give a vivid sense of the mood of a nation whose self-image was cast in a romantic epic mold,” Holland Cotter wrote in The New York Times in 1997 in a review of a show in Queens that featured Ms. Vyarawalla’s work. Ms. Vyarawalla called Nehru her “all-time favorite subject” and “extremely photogenic,” and when photographing him she would wait for an informal image to materialize — lighting a cigarette or releasing a pigeon. She was present at his funeral. Ms. Vyarawalla was born into a Parsi family on Dec. 9, 1913, in Navsari, a city in the western coastal state of Gujarat. Her father was an actor in a traveling theater company, and as a child she spent much time on the road with her family. After the family settled in Bombay, now Mumbai, she learned photography from a friend and, at 13, began taking pictures of Bombay life. She earned an art school diploma and began working professionally as a photographer in her late teens. Her career took off after she married Manekshaw Vyarawalla, an accountant for The Times of India who also worked as a photographer for the newspaper. In World War II, while working for the Far Eastern bureau of the British Information Services in New Delhi, Ms. Vyarawalla began accepting freelance assignments that gave her access to India’s political circles. Her photographs were published in Time, Life and The Illustrated Weekly of India, among other publications. In one series she recorded a day in the life of Indian firefighters during wartime. Ms. Vyarawalla gave her collection of photographs to the New Delhi-based Alkazi Foundation for the Arts and last January received the Padma Vibhushan, India’s second-highest civilian award. Ms. Vyarawalla moved to Vadodara, then Baroda, in 1982 with her son, Farooq, her only child. A teacher, he died of cancer in 1989. Her husband died in 1970, the same year she gave up photography, abruptly packing up her cameras one day, disgusted by her peers. People cheer as the countdown begins to jump into Chesapeake Bay at Sandy Point state park in Annapolis, Maryland during the 16th annual Maryland State Police Polar Bear Plunge. 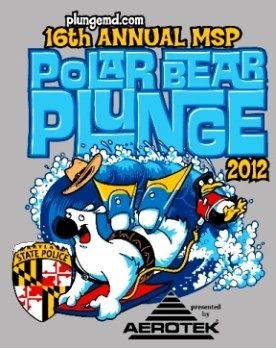 The Maryland Polar Bear Plunge at Sandy Point State Park in Annapolis is a charity event sponsored by the Maryland State Police in support of the Special Olympics. Each January, thousands of participants of all ages are daring enough to take a dip in the wintry waters of the Chesapeake Bay. In addition to the Plunges, attendees will enjoy a full-day winter festival featuring the Robert Andrews Salon & Spa, the Carnival FunFest tent with games, Astro Events Kids Zone, the Rams Head Ice Lodge and Beer Garden, food and other displays. Ravens Quarterback Joe Flacco has been named Honorary Chairman of the Maryland Polar Bear Plunge and will be returning for his 4th straight year. "A Physics Professor Asks: Are No-Name Batteries a Better Value Than Major Brands?" Duracell? Energizer? The cheapie packages of AAs at the dollar store? Tired of dumping money blindly on batteries for Wii remote controllers, flashlights, Nerf guns, and the like, a physicist decides it’s time to investigate which batteries truly give the most bang for the buck. Rhett Allain, an associate professor of physics at Southeastern Louisiana University, had gotten into the habit of buying batteries based strictly on price. Mostly, this meant skipping the Duracells and Energizers of the world and purchasing cheapie off-brands at dollar stores instead. In recent years, buying generic has proved to be a hit among money-conscious consumers, many of whom have learned that store-brand foods often taste as good as major brands, and that generic drugs work just as well as their name-brand equivalents. But what about batteries? Is buying no-name batteries a no-brainer, in which the consumer gets the same performance at a fraction of the price? Or do pricier name-brand batteries offer more juice, and therefore more value? If it wasn’t clear before, now you and I are fully aware of why we’re not physicists—and why we usually just go with our guts to figure out what batteries to buy. Or we just buy whatever’s on sale, or whatever batteries are handy, without thinking too much about it. 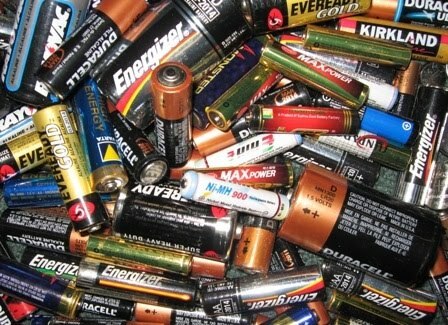 After much complicated math and several graphs that involve watts, amps, and joules and compare the performance of batteries from Duracell, Energizer, and Dollar General, Allain makes some observations. Most notably, over time the falloff in power occurred much quicker with Dollar General’s batteries than it did with either Duracell or Energizer. Even so, the dollar store’s batteries are so much cheaper that they’re often still the better buy. But, Allain notes, it depends on what your batteries are used for. If the batteries in question are used to power a simple device like a flashlight, the dollar store is probably where you want to shop. The power for these batteries will fade more quickly than the name brands, but dollar store batteries will provide enough juice to keep the flashlight functioning nearly as long as the pricier ones. Even if you have to replace the batteries a bit more frequently, the dollar store models are better overall values because they’re so much cheaper. Suppose that I am using the batteries for my Wii remote or my awesome Syma indoor RC helicopter (these really do fly nice). For these electronic devices, if the voltage drops too low they might not work properly. Yes, the battery will still have energy in it, but if it won’t run the device correctly who cares? For devices such as these, then, in which a strong, steady, long-lasting power source sure does come in handy, it’s usually smarter to pay more upfront for brand-name batteries. If batteries are on sale for a super cheap price from Amazon or another retailer, though, Allain says all bets are off. In this scenario, Allain gives the age-old advice for most staple purchases: Buy in bulk when there’s a good deal. I would chip in to send him there. 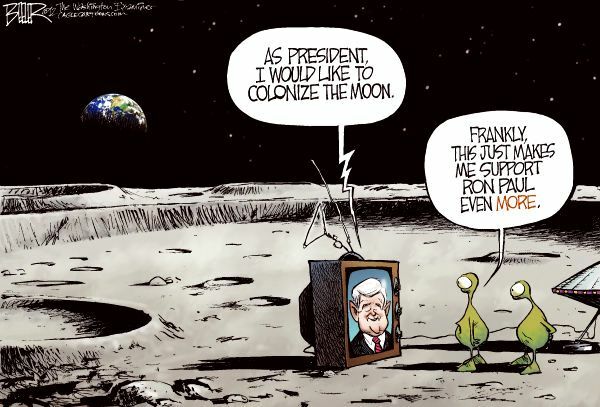 "Newt for President — of the Moon"
Oh, the news that was made in Florida this week. America’s manned space program is roaring back! We’re developing new kinds of rocket engines to get us to Mars in record time. We’re building airports from which five space missions can be launched every day — many of them carrying tourists. We’re going back to the moon, and not just to visit — to build a whole colony. Oh, and when that lunar colony has at least 13,000 permanent residents: Hello, 51st state! The best part of all this? We don’t have to wait decades for the moon base to be built and the tourists to start packing. It’ll all happen by 2021 — which is otherwise known as the end of Newt Gingrich’s second term as President. According to Newt Gingrich. Gingrich laid out his plans for the U.S.’s next decade in space during a campaign event at Brevard Community College in Florida, and to be fair, he’s hardly the first presidential candidate to talk up the local industry in a state that’s just days away from holding a primary. Still, this wasn’t just any candidate delivering just any stump speech. This was top-shelf, grade A, golden delicious Gingrich. Leave aside for a moment that the professor, politician and former not-a-lobbyist for Freddie Mac either doesn’t understand that grand and grandiose are two very different things or else does understand and is copping to more delusion and fabulism than one might want in a President. The real problem is that Gingrich often doesn’t seem to get that merely being willing to say any damn thing is not the same as being able to do any damn thing, especially when the challenges you’re taking on don’t involve just political rivals and government policy but the hard laws of engineering and physics, which are a wee bit less amenable to jawboning and dealmaking. So let’s start with those lunar bases. Living on the moon is a heck of an idea, but it’s really nice to have a reason to live there first. Some mission planners have talked about telescopes on the moon’s far side. 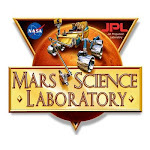 Some have argued for lunar homesteads as a dress rehearsal for longer-term habitation of Mars. Gingrich’s reason, as expressed in his other speeches, would be lunar mining. What does the moon have that the Earth doesn’t? Helium-3 — a nonradioactive isotope of helium that would be the perfect fuel for fusion reactors. Haul enough of the stuff home, and you can break the world of its dependency on oil forever, replacing fossil fuel with a clean, safe superfuel. Best of all, the U.S. would control the supply chain — at least at first. Great. Of course there’s the teensy problem that we still need to, you know, invent a practical fusion reactor, something we’ve never been able to do despite decades of trying. Even if one did exist, there’d be the problem of money. It costs a Russian proton rocket $2,200 to put a single pound of payload into low Earth orbit; it used to cost the shuttles a stunning $8,100. Now imagine the price tag for hauling thousands of tons of mining equipment out to the moon and thousands of tons of helium-3 back. 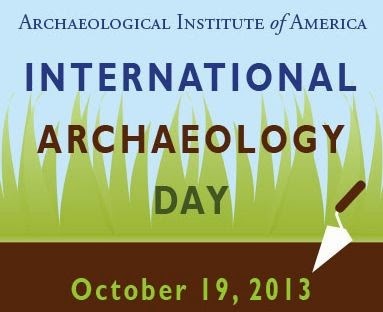 The excavation operation itself would be no picnic either. Harrison Schmitt, the Apollo 17 lunar-module pilot, estimates that it would take 220 lb. (100 kg) of helium-3 to power a city the size of Dallas for a year, and that to collect that much, you’d have to dig a trench 0.75 miles square by 9 ft. deep (1.9 sq km by 2.7 m). If you doubt Schmitt, consider that not only was he an astronaut, he’s also a geologist and served a term as a U.S. Senator, which means that he’s played both in his own backyard and in Gingrich’s. Any wonder that helium-3 fusion is not remotely ready to pass the “net energy” test — meaning it generates more power and money than it costs? But never mind that. The lunar Jamestown will be up and running in nine years all the same. Then there’s the matter of Newt’s five-flights-a-day spaceports. Since the first practical rocket lofted the first practical payload, aeronautical engineers have dreamed of building what’s known as the single stage to orbit (SSTO) spacecraft, a ship that could take off and land like an airplane, shedding no stages or other parts along the way. That, of course, is the only way to fly the kind of multiple, quick-turnaround missions Gingrich envisions. But there’s a reason an SSTO has never been built: In order to lift a one-piece ship that never gets lighter by shedding parts, you need an extraordinarily powerful engine, which requires an extraordinarily big load of fuel. This, of course, adds weight, which calls for an even bigger engine and even more fuel — adding more weight still and on and on. Designers have been chasing that spiraling equation down the same engineering drain for years and have never reached bottom. The last serious attempt the U.S. made to build an SSTO was in the late 1980s, when NASA and the Air Force collaborated to build the National Aerospace Plane — a messy amalgam of ramjets, scramjets and rocket engines — before they threw up their hands and walked away. Surely, the SSTO puzzle will one day be cracked — with a combination of lighter materials, more-efficient engines and more-energy-dense fuel all contributing to the success. But Gingrich has largely skipped this stage. The planes are queuing up by 2021, so the designers had better hurry. Newt’s big dreams are all of a piece. He envisions a “continuous propulsion system” that will get us to Mars in a “remarkably short time.” But the only such continuous system now in operation is ion propulsion, which takes a very long time to accelerate and actually slows things down in the short term — not good at all when a crew is on board. And Gingrich steers mostly clear of figuring out how to pay for all his plans, except to say that the private sector would sort things out. It’s private, after all. And it’s, um, a sector. Isn’t that enough? Forget that the Gemini and Apollo programs that got us to the moon cost $30 billion in 1975 money, or $126 billion today. Forget that in 1989, when the first President Bush floated the idea of a manned Mars program, his budget team put the cost at $500 billion — or about $867 billion now. What could possibly induce today’s private industry to take on that kind of R&D expense with no promise of payback? Federal prize money, Gingrich says. Really. Give Newt his props. He’s indeed an imaginative thinker. He works hard to bring science into a presidential campaign that too often ignores the topic altogether. But even at the Jan. 26 debate, he exhibited a woeful lack of either knowledge or honesty about why the manned space program has been stuck for so long. He blamed NASA for not having a heavy-lift vehicle to match the Saturn V, mockingly asking if the people at agency headquarters just sit around and “think space” all day. But NASA did have a smart plan for a heavy-lift vehicle. It was called the Ares V, and it went into design in 2005, but the plug was pulled on it in 2010 because funding was cut off. A new heavy-lift booster is now being developed to replace it, and its design, based in part on old Saturn V ideas and in part on shuttle technology, is smart, economical, and proven. During the debate, he also doubled down on his idea that government prizes could stimulate private industry to invest in space, citing a $25,000 prize that incentivized Lindberg to fly the Atlantic. A $25,000 prize in 1927, when Lindbergh flew, would be the equivalent of $311,000 today. Think that would be enough to persuade any private company to invest another $500 billion or so? But you do with vast, bureaucratically irrational ones? Grandiosity will never be grand. Grandiosity is the thing of empty promises, triumphal arches and Dear Leader shrines. Grandness is the thing of which great nations — and great Presidents — are made. "What Happened Before the Big Bang? The New Philosophy of Cosmology"
Last May, Stephen Hawking gave a talk at Google's Zeitgeist Conference in which he declared philosophy to be dead. In his book The Grand Design, Hawking went even further. "How can we understand the world in which we find ourselves? How does the universe behave? What is the nature of reality? Where did all this come from? Traditionally these were questions for philosophy, but philosophy is dead," Hawking wrote. "Philosophy has not kept up with modern developments in science, particularly physics." In December, a group of professors from America's top philosophy departments, including Rutgers,* Columbia, Yale, and NYU, set out to establish the philosophy of cosmology as a new field of study within the philosophy of physics. 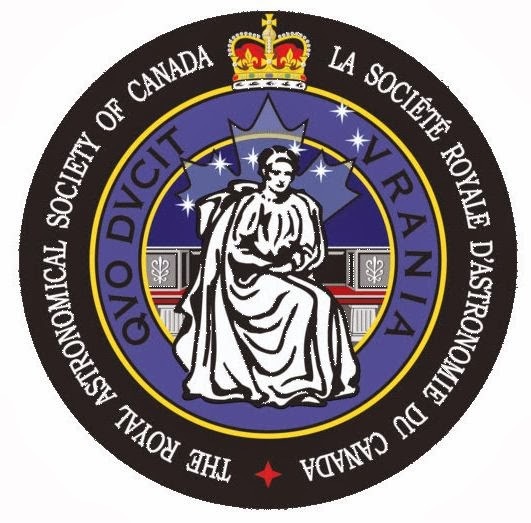 The group aims to bring a philosophical approach to the basic questions at the heart of physics, including those concerning the nature, age and fate of the universe. This past week, a second group of scholars from Oxford and Cambridge announced their intention to launch a similar project in the United Kingdom. Yesterday I spoke with Maudlin by phone about cosmology, multiple universes, the nature of time, the odds of extraterrestrial life, and why Stephen Hawking is wrong about philosophy. Your group has identified the central goal of the philosophy of cosmology to be the pursuit of outstanding conceptual problems at the foundations of cosmology. As you see it, what are the most striking of those problems? Maudlin: So, I guess I would divide that into two classes. There are foundational problems and interpretational problems in physics, generally --say, in quantum theory, or in space-time theory, or in trying to come up with a quantum theory of gravity-- that people will worry about even if they're not doing what you would call the philosophy of cosmology. But sometimes those problems manifest themselves in striking ways when you look at them on a cosmological scale. So some of this is just a different window on what we would think of as foundational problems in physics, generally. Then there are problems that are fairly specific to cosmology. Standard cosmology, or what was considered standard cosmology twenty years ago, led people to the conclude that the universe that we see around us began in a big bang, or put another way, in some very hot, very dense state. And if you think about the characteristics of that state, in order to explain the evolution of the universe, that state had to be a very low entropy state, and there's a line of thought that says that anything that is very low entropy is in some sense very improbable or unlikely. And if you carry that line of thought forward, you then say "Well gee, you're telling me the universe began in some extremely unlikely or improbable state" and you wonder is there any explanation for that. Is there any principle that you can use to account for the big bang state? Is the philosophy of cosmology as a project, a kind of translating then, of existing physics into a more common language of meaning, or into discrete, recognizable concepts? Or do you expect that it will contribute directly to physics, whether that means suggesting new experiments or participating directly in theoretical physics? Maudlin: I don't think this is a translation project. This is a branch of the philosophy of physics, in which you happen to be treating the entire universe --which is one huge physical object-- as a subject of study, rather than say studying just electrons by themselves, or studying only the solar system. There are particular physical problems, problems of explanation, which arise in thinking about the entire universe, which don't arise when you consider only its smaller systems. I see this as trying to articulate what those particular problems are, and what the avenues are for solving them, rather than trying to translate from physics into some other language. This is all within the purview of a scientific attempt to come to grips with the physical world. There's a story about scientific discovery that we all learn in school, the story of Isaac Newton discovering gravity after being struck by an apple. That story is now thought by some to have been a myth, but suppose that it were true, or that it was a substitute for some similar, or analogous, eureka moment. Do you consider a breakthrough like that, which isn't contingent on any new or specialized observations to be philosophical in nature? Maudlin: What occurred to Newton was that there was a force of gravity, which of course everybody knew about, it's not like he actually discovered gravity-- everybody knew there was such a thing as gravity. 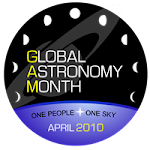 But if you go back into antiquity, the way that the celestial objects, the moon, the sun, and the planets, were treated by astronomy had nothing to do with the way things on earth were treated. These were entirely different realms, and what Newton realized was that there had to be a force holding the moon in orbit around the earth. This is not something that Aristotle or his predecessors thought, because they were treating the planets and the moon as though they just naturally went around in circles. Newton realized there had to be some force holding the moon in its orbit around the earth, to keep it from wandering off, and he knew also there was a force that was pulling the apple down to the earth. And so what suddenly struck him was that those could be one and the same thing, the same force. That was a physical discovery, a physical discovery of momentous importance, as important as anything you could ever imagine because it knit together the terrestrial realm and the celestial realm into one common physical picture. It was also a philosophical discovery in the sense that philosophy is interested in the fundamental natures of things. Newton would call what he was doing natural philosophy, that's actually the name of his book: "Mathematical Principles of Natural Philosophy." Philosophy, traditionally, is what everybody thought they were doing. It's what Aristotle thought he was doing when he wrote his book called Physics. So it's not as if there's this big gap between physical inquiry and philosophical inquiry. They're both interested in the world on a very general scale, and people who work in the foundations of physics, that is, the group that works on the foundations of physics, is about equally divided between people who live in philosophy departments, people who live in physics departments, and people who live in mathematics departments. In May of last year Stephen Hawking gave a talk for Google in which he said that philosophy was dead, and that it was dead because it had failed to keep up with science, and in particular physics. Is he wrong or is he describing a failure of philosophy that your project hopes to address? Maudlin: Hawking is a brilliant man, but he's not an expert in what's going on in philosophy, evidently. Over the past thirty years the philosophy of physics has become seamlessly integrated with the foundations of physics work done by actual physicists, so the situation is actually the exact opposite of what he describes. I think he just doesn't know what he's talking about. I mean there's no reason why he should. Why should he spend a lot of time reading the philosophy of physics? I'm sure it's very difficult for him to do. But I think he's just . . . uninformed. Maudlin: Look, physics has definitely avoided what were traditionally considered to be foundational physical questions, but the reason for that goes back to the foundation of quantum mechanics. The problem is that quantum mechanics was developed as a mathematical tool. Physicists understood how to use it as a tool for making predictions, but without an agreement or understanding about what it was telling us about the physical world. And that's very clear when you look at any of the foundational discussions. This is what Einstein was upset about; this is what Schrodinger was upset about. Quantum mechanics was merely a calculational technique that was not well understood as a physical theory. Bohr and Heisenberg tried to argue that asking for a clear physical theory was something you shouldn't do anymore. That it was something outmoded. And they were wrong, Bohr and Heisenberg were wrong about that. But the effect of it was to shut down perfectly legitimate physics questions within the physics community for about half a century. And now we're coming out of that, fortunately. And what's driving the renaissance? Maudlin: Well, the questions never went away. There were always people who were willing to ask them. Probably the greatest physicist in the last half of the twentieth century, who pressed very hard on these questions, was John Stewart Bell. So you can't suppress it forever, it will always bubble up. It came back because people became less and less willing to simply say, "Well, Bohr told us not to ask those questions," which is sort of a ridiculous thing to say. Are the topics that have scientists completely flustered especially fertile ground for philosophers? For example I've been doing a ton of research for a piece about the James Webb Space Telescope, the successor to the Hubble Space Telescope, and none of the astronomers I've talked to seem to have a clue as to how to use it to solve the mystery of dark energy. Is there, or will there be, a philosophy of dark energy in the same way that a body of philosophy seems to have flowered around the mysteries of quantum mechanics? Maudlin: There will be. There can be a philosophy of anything really, but it's perhaps not as fancy as you're making it out. The basic philosophical question, going back to Plato, is "What is x?" What is virtue? What is justice? What is matter? What is time? You can ask that about dark energy - what is it? And it's a perfectly good question. There are different ways of thinking about the phenomena which we attribute to dark energy. Some ways of thinking about it say that what you're really doing is adjusting the laws of nature themselves. Some other ways of thinking about it suggest that you've discovered a component or constituent of nature that we need to understand better, and seek the source of. So, the question -- What is this thing fundamentally? -- is a philosophical question, and is a fundamental physical question, and will lead to interesting avenues of inquiry. 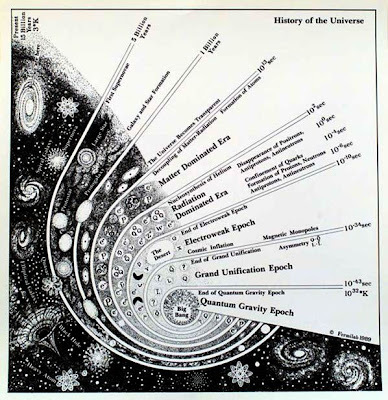 One example of philosophy of cosmology that seems to have trickled out to the layman is the idea of fine tuning - the notion that in the set of all possible physics, the subset that permits the evolution of life is very small, and that from this it is possible to conclude that the universe is either one of a large number of universes, a multiverse, or that perhaps some agent has fine tuned the universe with the expectation that it generate life. Do you expect that idea to have staying power, and if not what are some of the compelling arguments against it? Maudlin: A lot of attention has been given to the fine tuning argument. Let me just say first of all, that the fine tuning argument as you state it, which is a perfectly correct statement of it, depends upon making judgments about the likelihood, or probability of something. Like, "how likely is it that the mass of the electron would be related to the mass of the proton in a certain way?" Now, one can first be a little puzzled by what you mean by "how likely" or "probable" something like that is. You can ask how likely it is that I'll roll double sixes when I throw dice, but we understand the way you get a handle on the use of probabilities in that instance. It's not as clear how you even make judgments like that about the likelihood of the various constants of nature (an so on) that are usually referred to in the fine tuning argument. Now let me say one more thing about fine tuning. I talk to physicists a lot, and none of the physicists I talk to want to rely on the fine tuning argument to argue for a cosmology that has lots of bubble universes, or lots of worlds. What they want to argue is that this arises naturally from an analysis of the fundamental physics, that the fundamental physics, quite apart from any cosmological considerations, will give you a mechanism by which these worlds will be produced, and a mechanism by which different worlds will have different constants, or different laws, and so on. If that's true, then if there are enough of these worlds, it will be likely that some of them have the right combination of constants to permit life. But their arguments tend not to be "we have to believe in these many worlds to solve the fine tuning problem," they tend to be "these many worlds are generated by physics we have other reasons for believing in." If we give up on that, and it turns out there aren't these many worlds, that physics is unable to generate them, then it's not that the only option is that there was some intelligent designer. It would be a terrible mistake to think that those are the only two ways things could go. You would have to again think hard about what you mean by probability, and about what sorts of explanations there might be. Part of the problem is that right now there are just way too many freely adjustable parameters in physics. Everybody agrees about that. There seem to be many things we call constants of nature that you could imagine setting at different values, and most physicists think there shouldn't be that many, that many of them are related to one another. Physicists think that at the end of the day there should be one complete equation to describe all physics, because any two physical systems interact and physics has to tell them what to do. And physicists generally like to have only a few constants, or parameters of nature. This is what Einstein meant when he famously said he wanted to understand what kind of choices God had --using his metaphor-- how free his choices were in creating the universe, which is just asking how many freely adjustable parameters there are. Physicists tend to prefer theories that reduce that number, and as you reduce it, the problem of fine tuning tends to go away. But, again, this is just stuff we don't understand well enough yet. I know that the nature of time is considered to be an especially tricky problem for physics, one that physicists seem prepared, or even eager, to hand over to philosophers. Why is that? Maudlin: That's a very interesting question, and we could have a long conversation about that. I'm not sure it's accurate to say that physicists want to hand time over to philosophers. Some physicists are very adamant about wanting to say things about it; Sean Carroll for example is very adamant about saying that time is real. You have others saying that time is just an illusion, that there isn't really a direction of time, and so forth. I myself think that all of the reasons that lead people to say things like that have very little merit, and that people have just been misled, largely by mistaking the mathematics they use to describe reality for reality itself. If you think that mathematical objects are not in time, and mathematical objects don't change -- which is perfectly true -- and then you're always using mathematical objects to describe the world, you could easily fall into the idea that the world itself doesn't change, because your representations of it don't. There are other, technical reasons that people have thought that you don't need a direction of time, or that physics doesn't postulate a direction of time. My own view is that none of those arguments are very good. To the question as to why a physicist would want to hand time over to philosophers, the answer would be that physicists for almost a hundred years have been dissuaded from trying to think about fundamental questions. I think most physicists would quite rightly say "I don't have the tools to answer a question like 'what is time?' - I have the tools to solve a differential equation." The asking of fundamental physical questions is just not part of the training of a physicist anymore. I recently came across a paper about Fermi's Paradox and Self-Replicating Probes, and while it had kind of a science fiction tone to it, it occurred to me as I was reading it that philosophers might be uniquely suited to speculating about, or at least evaluating the probabilistic arguments for the existence of life elsewhere in the universe. Do you expect philosophers of cosmology to enter into those debates, or will the discipline confine itself to issues that emerge directly from physics? Maudlin: This is really a physical question. If you think of life, of intelligent life, it is, among other things, a physical phenomenon -- it occurs when the physical conditions are right. And so the question of how likely it is that life will emerge, and how frequently it will emerge, does connect up to physics, and does connect up to cosmology, because when you're asking how likely it is that somewhere there's life, you're talking about the broad scope of the physical universe. And philosophers do tend to be pretty well schooled in certain kinds of probabilistic analysis, and so it may come up. I wouldn't rule it in or rule it out. I will make one comment about these kinds of arguments which seems to me to somehow have eluded everyone. When people make these probabilistic equations, like the Drake Equation, which you're familiar with -- they introduce variables for the frequency of earth-like planets, for the evolution of life on those planets, and so on. The question remains as to how often, after life evolves, you'll have intelligent life capable of making technology. What people haven't seemed to notice is that on earth, of all the billions of species that have evolved, only one has developed intelligence to the level of producing technology. Which means that kind of intelligence is really not very useful. It's not actually, in the general case, of much evolutionary value. We tend to think, because we love to think of ourselves, human beings, as the top of the evolutionary ladder, that the intelligence we have, that makes us human beings, is the thing that all of evolution is striving toward. But what we know is that that's not true. Obviously it doesn't matter that much if you're a beetle, that you be really smart. If it were, evolution would have produced much more intelligent beetles. We have no empirical data to suggest that there's a high probability that evolution on another planet would lead to technological intelligence. There is just too much we don't know. *Updated: This piece has been amended to include Rutgers in the list of participating universities. 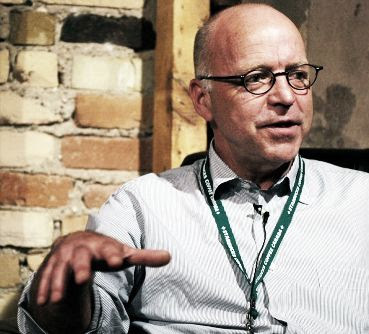 "Bingham Ray dies at 57; leading force in independent films"
Ray, who co-founded October Films, one of the top independent distribution firms in the '90s, suffered a stroke at the Sundance Film Festival. Bingham Ray, the co-founder of October Films, one of the top independent film distribution companies of the 1990s, and a former president of United Artists who was a leading force in independent films for more than two decades, died Monday. He was 57. Ray, who was named executive director of the San Francisco Film Society in November, died in a hospital in Provo, Utah, after suffering a stroke last week while attending the Sundance Film Festival in Park City, said Sarah Eaton, a spokeswoman for the family. "We lost a true warrior for independent voice today with the passing of Bingham Ray," Sundance founder Robert Redford said in a statement. "He was a valued member of the Sundance family for as long as I can remember, and he is responsible for mentoring countless seminal storytellers and bringing their work to the world." A onetime manager and programmer at the Bleecker Street Cinema in New York's Greenwich Village in the early 1980s, Ray co-founded October Films in 1991 with Jeff Lipsky in Lipsky's garage in Sherman Oaks. Six months after its first release, Mike Leigh's "Life Is Sweet," the company had raised capital and opened its doors in New York City. Ray served as co-president until the company's sale to USA Networks in 1999. During his years with October Films, Ray distributed films such as Leigh's "Secrets & Lies," Lars von Trier's "Breaking the Waves," John Dahl's "The Last Seduction," Robert Duvall's "The Apostle," David Lynch's "Lost Highway," Robert Altman's "Cookie's Fortune" and Jim Jarmusch's "The Year of the Horse." "He was very beloved by the filmmakers he worked with and very dedicated to preserving their vision in bringing their films to the marketplace," John Schmidt, one of Ray's former partners in October Films, said Monday. "He was a man whose passion for film just embodied everything good about our industry," Schmidt said. "He did it with tremendous drive and passion, not because he wanted to become a millionaire and not because he wanted to be a big shot, but because it was in his heart and soul." After leaving October Films in 1999, Ray continued to be a familiar presence at film festivals, where he served on judging panels. But after nearly dying in a traffic accident in 2000, he later told the New York Times, "I realized where my place really is." In 2001, after six months as president of New York-based Crossroads Films, Ray was named president of United Artists, the specialty films division of Metro-Goldwyn-Mayer Inc.
During his nearly 2 1/2 years at UA, Ray bought Michael Moore's "Bowling for Columbine," which won the Academy Award for best feature documentary in 2003. In a Twitter message on Monday, Moore said he would "deeply miss" Ray. "He bought & distributed Bowling for Columbine when no one else would. He stood by me all the way." Among other films the company acquired/and or produced during Ray's tenure are Danis Tanovic's "No Man's Land," an Oscar winner for best foreign language film; "Nicholas Nickleby," "Jeepers Creepers" and its sequel, and "Pieces of April." When Ray resigned from UA in 2004, the Hollywood Reporter reported that sources close to the situation said that he and MGM executives "often clashed over the types of films that Ray chose to champion, with the studio regarding his taste as too esoteric and arty." Independent producer Jonathan Dana described Ray on Monday as being "one of a kind." "I don't think there is anybody more passionate or dedicated or more courageous than Bingham in terms of what he believed in and what he would fight for and who he would challenge if it meant moving something forward that he believed in," Dana said. "He's a true testament to what we all do in the independent film world." Ray, who was born Oct. 1, 1954, in Bronxville, N.Y., told the San Francisco Chronicle in December that his father, a civil engineer, taught him to love movies in elementary school: His reward for finishing his homework was being allowed to watch movies on TV with his dad. His film education continued at Scarsdale High School, where he took a film class that introduced him to foreign films and prompted him to make his first film with a Super 8 camera provided by the teacher. He graduated with a degree in theater arts and speech from Simpson College in Iowa. After his stint at the Bleecker Street Cinema, Ray worked for New Yorker Films, the Samuel Goldwyn Co. and Alive Films before co-founding October Films. He joined L.A.-based production company Sidney Kimmel Entertainment in 2007 and over the next three years served as president of Kimmel Distribution and president of creative affairs. Before being named executive director of the San Francisco Film Society, he served as the first-run programming consultant to the Film Society of Lincoln Center, executive consultant to the digital distribution company SnagFilms and adjunct professor at New York University's Tisch School of the Arts. Ray is survived by his wife, Nancy King; their children, Nick, Annabel and Becca; and his sisters, Susan Clair and Deb Pope. "Bingham Ray, Executive Who Championed Independent Films, Dies at 57"
Bingham Ray, a colorful indie-film executive who helped steer art-house movies like “Bowling for Columbine” and “Hotel Rwanda” to the masses, died on Monday in a hospice in Provo, Utah. He was 57. The cause was a series of strokes, according to the San Francisco Film Society, where he had only recently become its executive director, an appointment he described in October as “too good to be true.” He was in Utah to attend the Sundance Film Festival. Volatile and blunt, Mr. Ray championed stylized, intellectually challenging films, buying distribution rights to movies that few believed had a box-office prayer. “The words ‘fearless’ and ‘brave’ are tossed around a lot in our world, but that’s the only way to describe Bingham,” said Eamonn Bowles, the president of Magnolia Pictures. Mr. Ray helped create a business model in which art-house movies grew into a powerful economic and cultural force. He co-founded one of the first major indie distributors, October Films, in 1991, working with Jeff Lipsky in a house in suburban Los Angeles. October Films, along with Miramax Films and Sony Pictures Classics, was designed to snap up indie gems from festivals like Sundance and distribute them broadly, relying on guerrilla marketing campaigns and the Oscars to get them noticed. “Secrets & Lies,” directed by Mike Leigh, and Lars von Trier’s “Breaking the Waves,” both from 1996, were two of October’s biggest successes. October Films was also responsible for David Lynch’s “Lost Highway” and one of the first widely seen Iranian movies, “The White Balloon,” directed by Jafar Panahi. Mr. Ray left October Films in 1999, when it was sold to USA Networks. After a series of mergers and acquisitions, the company emerged in 2002 as Focus Features, which remains an art-house leader. “If you draw a line back to the rise of independent film, you find Bingham,” Mr. Bowles said. Born on Oct. 1, 1954, Mr. Ray grew up in Scarsdale, N.Y. He was fascinated with movies from an early age; one of his first jobs was as a projectionist in a Greenwich Village theater. He started his formal career in 1981 in Metro-Goldwyn-Mayer’s New York office, where he sold library titles to hospitals, colleges and ships at sea. He worked at five other distribution companies, including New Yorker Films and Avenue Pictures, where he oversaw the release of Gus Van Sant’s “Drugstore Cowboy” in 1989 before founding October Films. From 2001 to 2004 Mr. Ray was president of United Artists, working to revive its reputation for serving up top-notch specialty films. “Bowling for Columbine,” a Michael Moore documentary on the American gun culture, and Terry George’s “Hotel Rwanda,” starring Don Cheadle in a fact-based tale set during the Rwandan genocide, were two United Artists films released under Mr. Ray’s watch. His subsequent jobs included running Sidney Kimmel Entertainment. He was also a consultant to the Film Society of Lincoln Center, IFC Films and Snag Films, which focuses on documentaries, and an adjunct professor at New York University’s Tisch School of the Arts. Mr. Ray is survived by his wife, Nancy King; their children Nick, Annabel and Becca; and his sisters, Susan Clair and Deb Pope.